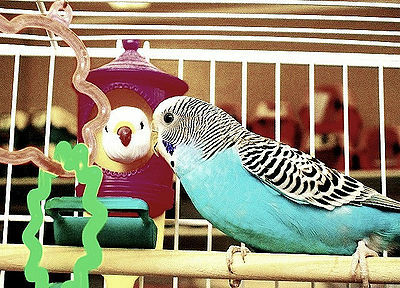 Proventricular Dilation Disease (PDD) affects primarily parrots, but also some other birds. It is also known as the Wasting Syndrome. The Proventriculus is a glandular part of the avian stomach that may store and or begin digestion of food before it moves to the gizzard. The gizzard is a muscular pouch behind the stomach that aids in the breakdown of seeds prior to digestion. In 2008, researchers at the University of California, San Francisco, identified a virus, Avian Bornavirus (ABV), a bornavirus variety that was present in 71% of birds affected by PDD which is suspect. Symptoms vary and can include neurological as well as gastrointestinal signs. Gastrointestinal signs may be regurgitation, poor appetite, weight loss, undigested food in feces, weakness. Neurological signs can include ataxia (loss of control of body movements), paresis (muscular weakness, partial paralysis), head tremors, seizures (rare). Poor body condition and muscle wasting can be present. The heart, brain and spinal cord can be affected by the virus. PDD is highly contagious through exposure to feces of birds that have the disease. It’s important to follow strict hygiene by washing hands well when visiting another bird. Although a bird may not display any symptoms of PDD, it could be a carrier of the disease. Diagnosis begins with palpation of the area and x-rays to rule out the presence of any other abnormalities or foreign objects. Biopsy may also be used but places the bird at risk and most owners opt out of this procedure. There is no cure for PDD but a NSAID (non-steriodal anti-inflammatory), Celecoxib (under trade name Celebrex) has shown success in treating the disease even long-term. 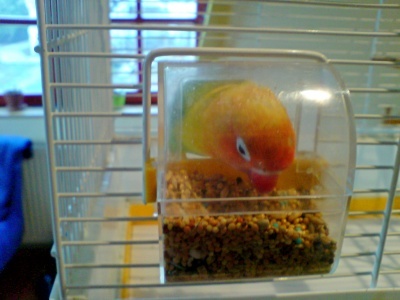 It’s important to keep watch on your bird’s stool color and appetite as the medication can cause stomach ulcers. Your vet may prescribe medications to treat other symptoms. 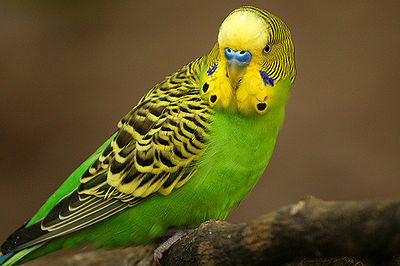 If your bird shows any unusual behavior, s/he should be seen by an avian vet as soon as possible.